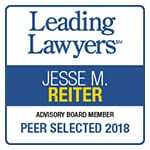 Cerebral palsy lawyer Jesse Reiter, president of ABC Law Centers, has been a continuous financial supporter of C.S. Mott Children’s Hospital and the Charles Woodsen Research Fund, which is a fund used to help physician-scientists and other researchers find ways to help treat and cure diseases, conditions and disorders that impact children. Mott Children’s Hospital in Ann Arbor, Michigan and the Woodsen Research Fund work in tandem to help make children’s lives better and ensure they receive the best possible care. The Woodsen Research Fund supports investigators whose work has the greatest potential for innovation and impact on children; it helps with cutting edge research and breakthroughs. Mott Children’s Hospital has a cutting-edge, comprehensive cerebral palsy program. The University of Michigan Hospital was established in 1869. In 1969, a foundation run by Flint businessman and philanthropist C.S. Mott donated $6.5 million to improve the pediatric wing of the hospital. In 2005, the C.S. Mott Foundation donated $25 million to create an entirely new version of what had been named the C.S. Mott Children’s Hospital. The new Mott Children’s hospital was completed in December of 2011 at a cost of $745 million, the largest construction project in Michigan during that time period. In fact, it is the largest and most advanced project in University of Michigan history. Children with cerebral palsy often have problems with control of movement, strength, muscle tone, reflexes and balance. Problems associated with cerebral palsy include swallowing disorders, seizures, excessive drooling, and developmental, intellectual and learning disabilities. Mott Children’s Hospital offers diverse programs for cerebral palsy therapy and treatment. Cerebral palsy is complex and has differing degrees, affecting children in a wide variety of ways. As such, Mott offers many cerebral palsy treatment options. Mott has a comprehensive pediatric rehabilitation clinic for cerebral palsy, offering specific types of rehabilitation. Children with cerebral palsy may also be offered surgery, depending on their individual treatment plan. There are several different types of surgeries that can help children who have cerebral palsy, and this includes selective dorsal rhizotomy (SDR). Pediatric and Adult Rehabilitation Clinic: This clinic is designed to meet the needs of people with cerebral palsy throughout their lives. This program can start during a child’s toddler years (sometimes sooner) and continue throughout adulthood. Cerebral Palsy Orthopedic Clinics: These clinics offer surgeries for bone, joint and spine problems that affect children and adults with cerebral palsy. Surgeries include Selective Dorsal Rhizotomy (SDR), which is for children who have spastic cerebral palsy. SDR involves locating and cutting the dysfunctional nerves that are causing spasticity. Coupled with aggressive physical therapy, SDR can help many children learn to walk. Comprehensive Hand and Arm Movement Program (CHAMP): The CHAMP program is an intensive 3 week clinic that involves restricting a child’s less affected hand and arm, intensely focusing on the arm and hand affected the most by cerebral palsy. Milestones Cerebral Palsy Clinic: This is an outpatient clinic for children and young adults with cerebral palsy aimed at promoting development, increasing independence,and helping the family incorporate therapeutic activities and exercises at home. Adapted Cognitive Assessment Clinic: This is a specialized clinic that provides cognitive evaluations (evaluations that focus on a child’s thought processes). These evaluations are for children and teenagers with cerebral palsy who are unable to participate in traditional neuropsychological testing due to barriers such as problems with speech or movement. Spasticity Intervention Program: Spasticity is a significant abnormality in muscle tone, causing a child with cerebral palsy to have muscles that do not work together and are very stiff. Spastic cerebral palsy is the most common type of CP. This program provides numerous interventions to help with spasticity, such as physical therapy, baclofen therapy/baclofen pumps, and neurosurgical and oral medication treatment. Birth asphyxia. This is when the baby doesn’t get enough oxygen before, during or right after birth. Birth asphyxia can cause a brain injury called hypoxic ischemic encephalopathy (HIE), which can cause long term problems such as seizures, cerebral palsy, intellectual problems and developmental and learning disabilities. Neonatal seizures. These are seizures that take place during the first month of life. Hypoxic ischemic encephalopathy (HIE) is the most common cause of neonatal seizures. Intracranial hemorrhages. This is bleeding into or around the brain. Brain bleeds in a baby can be caused by a traumatic delivery, infection, use of forceps or a vacuum extractor during delivery and hypoxic ischemic encephalopathy (HIE). Stroke. Strokes in newborns can be caused by many different things, such as use of forceps or vacuum extractors during delivery. HIE and stroke often occur together. Hydrocephalus. This is a buildup of fluid inside the brain. It can be caused by many conditions, including intraventricular hemorrhages. Infections of the nervous system, which can be caused by an infection in the mother that is transmitted to the baby at birth (choriomnionitis, Group B strep, urinary tract infections (UTI), bacterial vaginosis (BV), herpes simplex virus (HSV). Infections can cause a baby to have encephalitis, sepsis and meningitis. Neurologic impairment that requires newborns to be on a breathing machine (ventilator) or be ventilator-dependent. Hypotonia. This is abnormally low muscle tone and it is sometimes one of the earliest indicators of a neurological problem in the baby, such as hypoxic ischemic encephalopathy. Seizures and Epilepsy: Almost half of all children with cerebral palsy experience seizures. Seizures must be promptly diagnosed and treated because seizure activity can damage the brain. Mott’s Comprehensive Epilepsy Program is a Level 4 Certified Epilepsy Center, which is the highest level of certification available from the National Association of Epilepsy Centers. The pediatric team in this program helps children experiencing all types of seizures. The team focuses on comprehensive diagnoses, and Mott has a state of the art pediatric EEG facility. The Epilepsy Center also has the latest techniques in brain imaging, such as CT, MRI, PET and SPECT scans to investigate the causes of a child’s seizures. Brachial Plexus Injury / Erb’s Palsy: Cerebral palsy is often caused by a brain injury that occurs during or near the time of birth. Sometimes a traumatic birth can also cause a child to have a brachial plexus injury and Erb’s palsy. The brachial plexus is a network of nerves in the shoulder and neck area. If a physician pulls too hard on the baby’s head during delivery, brachial plexus nerves can become stretched and torn, leaving the arm with extreme weakness and even paralysis. When a brachial plexus injury causes a baby’s arm to hang limply at her side, it is called Erb’s palsy. Children with Erb’s palsy may be eligible for surgery and they also need intense physical therapy. Erb’s palsy surgery must take place by the time the child is 9 months of age or the arm could be paralyzed for life. Movement Disorders: A movement disorder is a condition that arises in the brain and causes a child to have too little or too much movement. These disorders can be caused by brain injuries, infection, medication and autoimmune diseases. Common movement disorders include dystonia, ataxia, tremor, myoclonus and Tourette syndrome and tics. If you are seeking the help of a birth injury or cerebral palsy lawyer, it is very important to choose a lawyer and firm that focus solely on birth injury cases. Reiter & Walsh ABC Law Centers is a national birth injury law firm that has been helping children with birth injuries for almost three decades. If your child was diagnosed with a birth injury, such as cerebral palsy, a seizure disorder or hypoxic ischemic encephalopathy (HIE), the award winning cerebral palsy lawyers at ABC Law Centers can help. We have helped children throughout the country obtain compensation for lifelong treatment, therapy and a secure future, and we give personal attention to each child and family we represent. 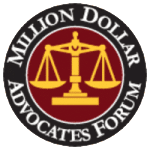 Our nationally recognized birth injury law firm has numerous multi-million dollar verdicts and settlements that attest to our success and no fees are ever paid to our firm until we win your case. Email or call Reiter & Walsh ABC Law Centers at 888-419-2229 for a free case evaluation. Our firm’s award winning Michigan cerebral palsy lawyers are available 24 / 7 to speak with you. 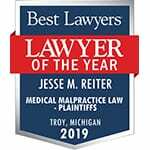 In this video, Michigan cerebral palsy lawyer Jesse Reiter discusses signs and symptoms of cerebral palsy, diagnosis of CP and various treatments and therapies that can help babies and children who have CP.